This is a big year for Britain. Have we got the energy to put on a memorable celebration for the Queen's Diamond Jubilee? Can the country step up to the plate and deliver a great Olympics? At pierate.co.uk we think this comes down to whether the plate handed to the average Britain has enough energy in it. And there is more to energy than just calories. Britain needs inspiration. Britain needs passion. Britain needs something to fight for. Britain needs something warm and comforting to get through the times when the rain just doesn't stop. This is where the British Pie Awards can help. By giving the best pie makers across the land the recognition they deserve this helps drive up standards. As the home of pies the bench mark is already high in Britain but we need the absolute best from our pie makers this year. The 2012 awards were held in Melton Mowbray on Wednesday 25th April. They didn't just judge Melton Mowbray pork pies but a number of different pie categories. 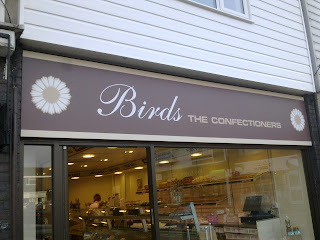 It is good to see a number of pies recommended by us here at pierate that were among the winner. The team at Morecambe Football Club were again successful in a number of areas including best football pie and best small producer. The supreme champion was Dunkleys of Wellingborough (no I didn't know where it was either but apparently it is near Northampton). They won with a very intriguing flavour of Chicken, Ham, Mushroom, Buttered Leeks & Suet Pastry Pie. 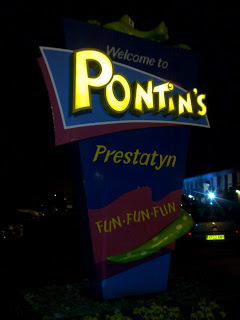 Congratulations to all at Dunkleys, it appears the Pierateers have a new destination to sail to. 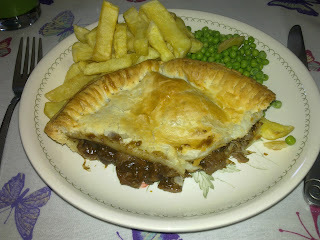 continue reading "British Pie Awards 2012"
I was over in Leicester recently visiting my mate Mark, and had a delightful trip out to an area of outstanding natural beauty. But enough about “Birds the confectioners”(at The Nook in Anstey) which served me a small, but deeply filled, Steak pie on my travels... We went on to another equally beautiful location, namely the Beacon Hill, north of Leicester. It was a lovely place to wander round and catch up with a good mate, and equally a great place to eat a lovely meatilicious pie! The only downside was a lack of heating elements to warm up my pastry beauty on top of the hill. Oh well – can’t have everything I suppose! The pie itself was a good size for a small pie. Packed with tender steak chunks, it filled the hole well until dinner time. I’d certainly recommend it. The pastry was golden and the gravy and steak were very pleasing to the taste buds. 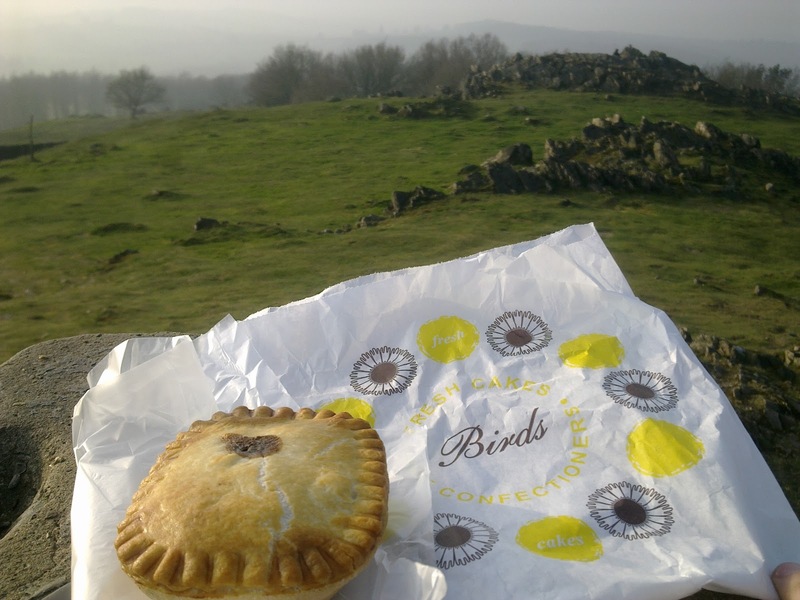 The rugged terrain and misty surroundings only added to the atmosphere of eating a delightful little pie in such lovely surroundings. And of course, I made sure I didn’t leave any packaging in this AONB (you can be sure there was no pie remainder to be left either...) While it would have been a bit nicer warmed through (unfortunately the shop did not offer such luxuries) and the pastry was slightly firm in places, it was certainly worthy of consumption in such a lovely area of countryside. continue reading "A Birds pie in the hand is worth eating on the hill"
continue reading "Meat your maker"
Little Jack Horner sat in the corner eating an average pie. Some question why most of our pie scores seem to be so high. Our average score seems to be around 5/7 which is over 70%. One obvious reason is that we do endeavour to follow up recommendations and search for the very best that the pie universe has to offer. Another is as a pie is a great product to start with you don't have to do a lot to make a great pie. Yet further reasons exist; we all eat many more pies than we have time to review so sometimes, unfortunately, the average pies are the ones that either get forgotten or just aren't interesting enough to review. This brings me nicely to a pie I had in London the other day at The Jack Horner pub on Tottenham Court Road. 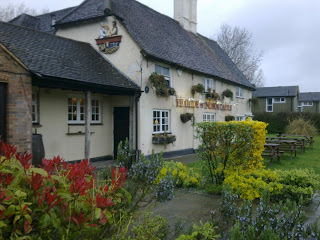 This is a Fuller's Ale and Pie House which makes these average pubs sound more interesting than in fact they are. With the average decor, service and below par ambiance it would be easy not to realise that the pub had any special link to pies. However, all the pubs in this London chain have a very decent range of pies. 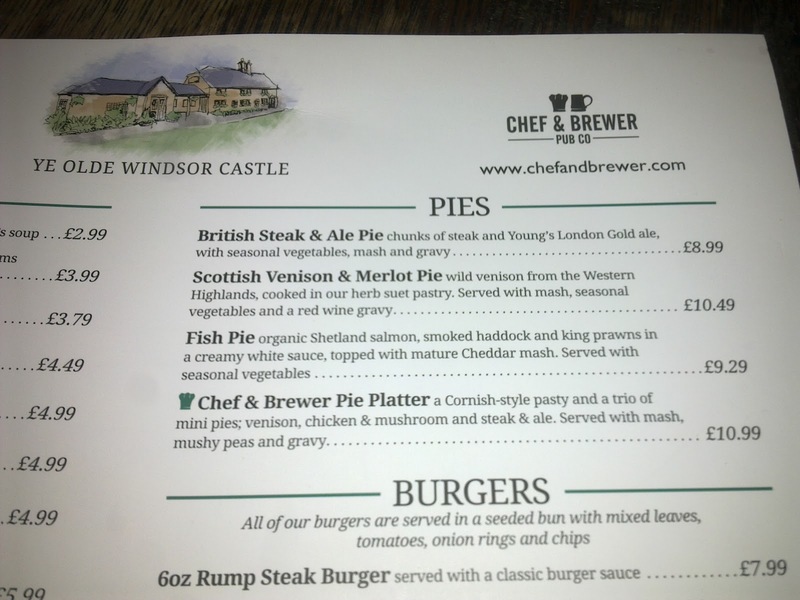 The best part is that each of the 13 pubs has it's own House Pie. I love this fact and it does make me want to go to each location and try them all. I of course ordered the Jack Horner house pie which was Beef, Bacon and London Porter. I was a bit disappointed they missed the link to the Jack Horner nursery rhyme by not including plum in this pie. The shape of this pie was quite interesting with a square puff pastry lid on a round shortcrust base. There was also a nice addition of a gravy boat included. Unfortunately this was needed to soften up the shortcrust pastry of this pie which tasted like cardboard in some places. I genuinely thought for a few moments that perhaps the sides were not supposed to be eaten and I was eating the container by mistake. The filling rescued it somewhat. The sauce was nice and thick and the meat was tasty but too chewy in some places. At £10.50 with mash and veg this was a pretty standard price for a pie in London. continue reading "Little Jack Horner sat in the corner eating an average pie." This Easter Sunday I paid a visit to Thame Country Show. I have attended this regularly for a number of years and have watched with interest as the number of pie sellers continues to increase. It is great to see that pies have really become a gourmet food. No longer just a cheap pub dinner, posh pies seem to be here to stay. It is interesting that a number of the pie sellers here I have also seen in other places. The Lime Tree Pantry I saw at the Great Missenden Food Show and gave them a glowing review. Raven's Den I saw far away at Walthamstow Farmer's Market. While this might make it seem that the pies aren't very local it is still a world away from the crazy food miles traveled by some of the products we get used to buying in our local supermarkets. One pie seller caught my eye with a good 2 for £5 deal and some unusual flavours. The Cheese and Pie Man apparently gets his pies from Pyes Farm who also supply such places as Fortnum and Mason in Piccadilly. I had my eye on a Venison, Tomato and Chili Jam Pie. 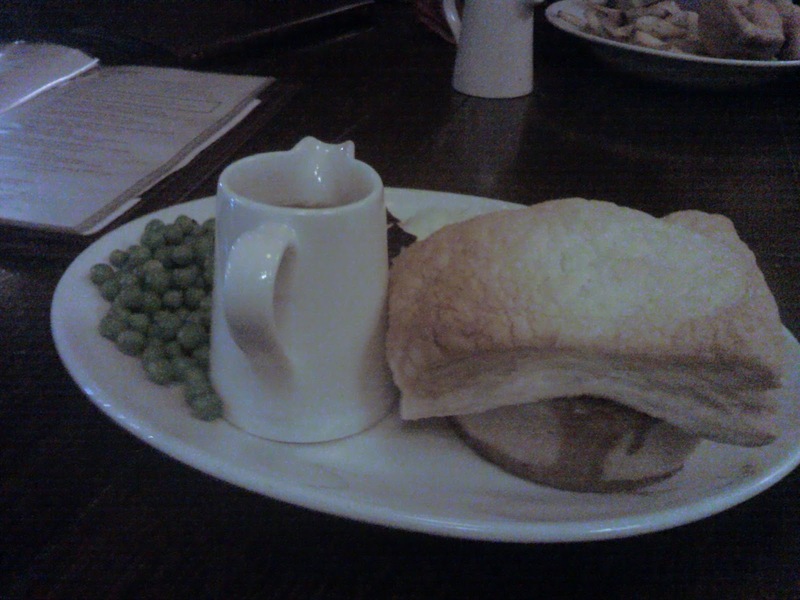 This pie looked just like a traditional pork pie because it seemed to use 'hot water crust' type pastry. This kind of pastry is sturdy and has a great golden colour. 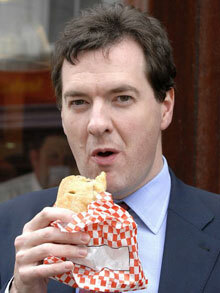 He kindly warmed the pie up in a microwave (how will the pasty tax affect his trade?) which made the pastry nice and moist. The filling did not have any gravy which is expected from this kind of pie. This made it ideal as a snack on the go. The meat was flavoursome and not at all fatty. What disappointed me however was that there seemed to be a lack of chili kick. I could only see a small amount of jam and I could barely taste any chili. However this didn't detract too much from a product that I would certainly buy again. So, looking at their website, it seems like Pyes Farm supply a great range of mouth watering pies and I will be on the look out for more. The Cheese and Pie Man provides them at a farmers market near you at a great price, keep an eye out for him and say hello from us. continue reading "The Amazing Pie Man"
Volunteering on a Christian holiday conference called New Word Alive, this time on the Pontins site in Prestatyn, North Wales, it was a delight not to have to cook my own meals but to instead go catered. And so, as any good Pierateer would, I immediately scoured the pudding counter for an apple pie. To my delight, there it was – an apple pie served on day one! But alas, my joy soon turned into disappointment, as the cold, soft pastry and, in my view, unappetising “appley” content did not give me the hit of the whole fruit. 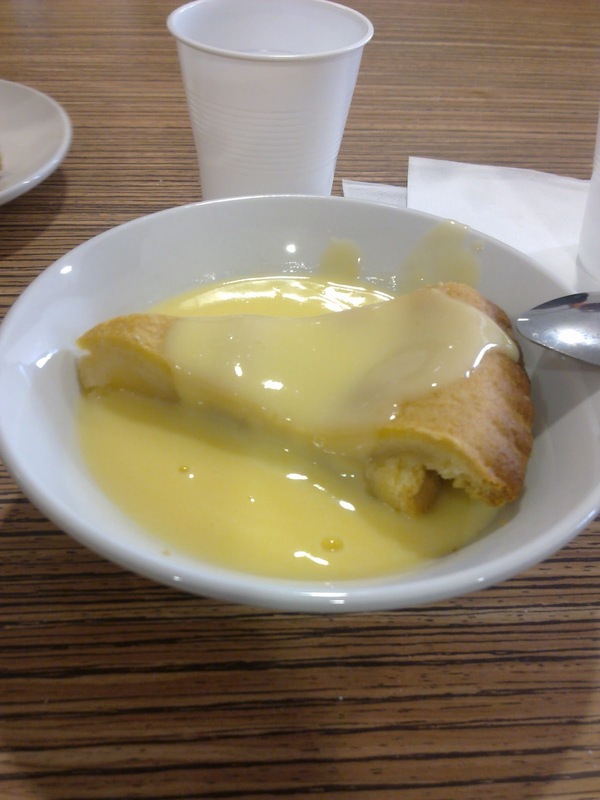 Even some piping hot custard could not save this pie from a very disappointing score, and sadly there were no savoury pies on the menu all week to give me a morale boost. It was unfortunately really, as the rest of the main dinners were actually very nice and it was just the puddings that seemed to let the rest of the side down. Maybe it will be improved on for next year... one can only hope! continue reading "What’s the Point-ins in that?!" The benefit of making your own pie is that you can pretty much just do what you like with it. Though a bit late in posting, to celebrate British Pie Week, this pierateer got a bit inventive when making a pork pie. The method for the filling is surprisingly simple, yet as can be seen in the image, creates a succulent middle to this pie. The different textures of the pork, stuffing and gravy made this such a treat. Please let us know if you make this pie or any alterations you make! First, slow roast a joint of pork. We did this in our slow cooker over night with some water, apple, onion and garlic. Once the meat is so tender it is falling apart, remove the joint. Set aside the resulting gravy (we didn't use it in this pie as it was very fatty, but we put it in the fridge and let the fat settle so we could remove it from the rest of the gravy and used the resulting sauce in a pork risotto!). Make up your pastry and line the bottom of your pie dish. Boil the kettle and make up some thick onion gravy and in a separate jug, some instant apple and sage stuffing. Put the pork, stuffing and gravy into the pie and then cover with more pastry. Cook until pastry is brown. continue reading "Not your normal pork pie." What would be on the top of your birthday wish list?! Well, perhaps once you’ve ruled out a new house, car or exotic holiday being a bit ambitious for the list, what more could you want than the highest ranked pie on www.pierate.co.uk? At a whopping 6.7/7...my thoughts exactly! So thanks SJL for my delicious birthday Steak pie from KingsFarm shop in Bucks! A truly inspired gift – how did you know I love pies so much?! continue reading "Top ranked birthday present!" continue reading "Say No to the Pie Tax!" The question was, which pie to choose?! 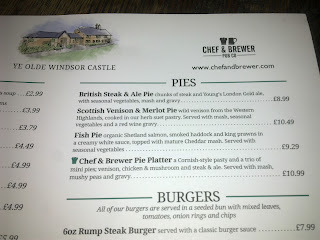 So of course I chose the Chef & Brewer Pie Platter to get all three! We will overlook the addition of a Cornish-style pasty to the trio of mini pies (who wants a pasty?!) but instead focus on the pies. As you can see from the photo, they were presented delightfully. 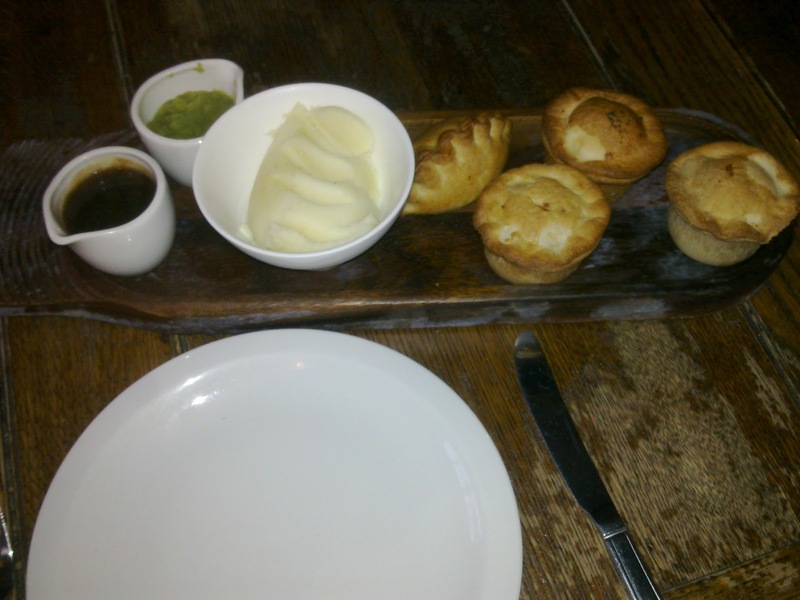 While you always find that there could be slightly more filling in mini pies, they were all very flavoursome. 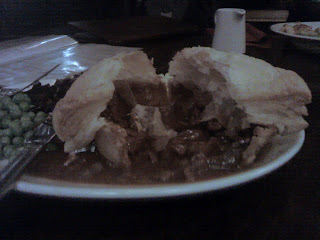 The pastry was slightly thick and thus did over dominate the taste buds slightly, but the chicken, beef and venison were all very nice pies in themselves. I’d have certainly been happy to have a large version of each, even if they were slightly pastry-heavy. Capacity was good for such a small pie, although a tad more meat would have helped, especially for the price paid. All in all though, well worth a visit. 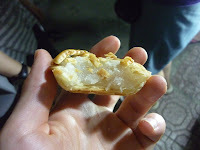 continue reading "Ye Olde Birthday Pie"
Vietnam is a place that is full of contradictions and difficult to understand. The population is still fed a heavy diet of communist propaganda, yet it in reality it is hardly even socialist. Capitalism is king and the gears of power are greased by the flow of money. All well and good I hear you say but how does this affect the pie market in Vietnam? Good question. One of the good things is that the new consumerism in Vietnam means that if pies are demanded then someone will supply pies to the market. The downside is that now people would have to pay for their pies. I would argue that pies are an unassailable human right, however this still seems like a distant dream. I was quite prepared to part with some Vietnamese Dong if only I could get hold of a pie. Fortunately in the border town of Chau Doc near the Mekong river I came across someone selling desserts from a trolley by the side of the street. There was something that looked just like a lattice pie being sold for about 10p each. Unfortunately due to the proprietor of the establishment not speaking English this made it difficult to know what the product actually was. I had to take the risk. Upon biting into the product the cross-section revealed that this was indeed a pie. However the flavour was about as confusing as the politics of Vietnam. It looked like coconut but actually tasted like a crystallised sugar but wasn't overly sweet. It had a kinda starchy taste which reminded me of rice. I wonder if it might have had coconut sugar in it. So what did I think? The pastry was nice and flaky, however there perhaps was a lack of pastry due to the lattice top. The filling was weird, especially as I didn't really know what it was but tasted nice enough. I don't think this can be an official review as I don't know the flavour and would struggle to tell you where to go to get another one. However I have included a score in case you ever come across a similar looking product, it's worth a try! continue reading "Communist Flavour Pie"